Texas Chili- ground turkey, coffee, cocoa, beer, serrano peppers, dark kidney beans and cannelloni beans! 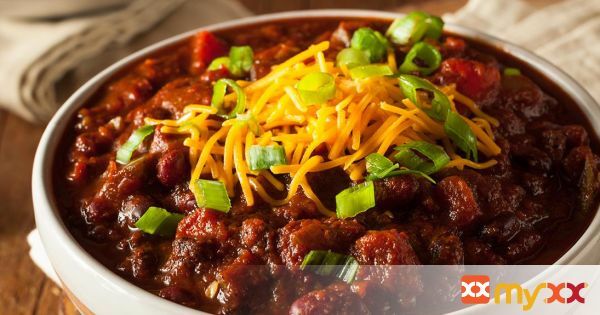 Serve with your favorite chili toppings! 1. Place a Dutch oven or other large pot over medium heat. Add the oil and heat until shimmering. Add the meat and sauté until browned and then transfer to a plate. 3. Add the brown sugar, chili sauce, cocoa powder, hot pepper, cumin, coriander, cayenne, salt and kidney beans. Return the meat to the pot. Reduce heat to low and simmer, partly covered, for 1 hour. 4. Add the white beans to the pot and simmer over very low heat, partly covered and stirring occasionally, for 1 to 2 more hours. (Longer cooking improves the flavor.) Adjust salt and cayenne pepper as needed and serve.